By now its almost certain that foldable smartphones are going to be the next big thing in the smartphone world, and a recent patent documents leaks has revealed that almost all the leading smartphone manufactures like Samsung,Huawei,LG working on their own versions of foldable smartphones. 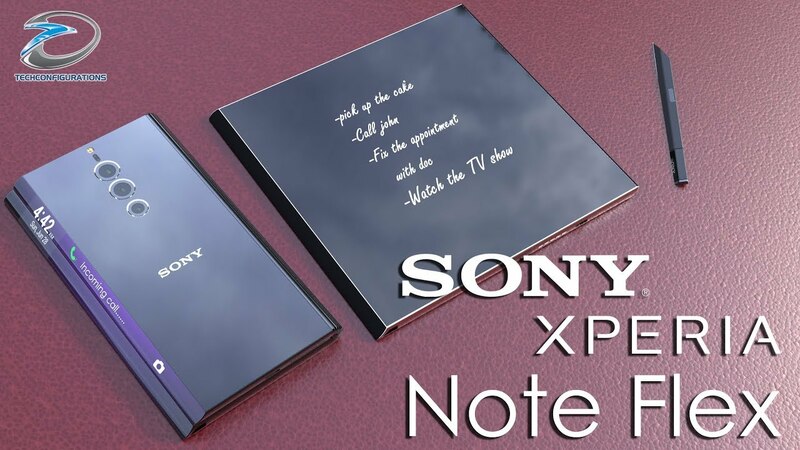 We recently heard rumors that Sony is also working on OLED technology for it future smartphones, so it seems its only a matter of time that we would see foldable smartphone from them too. So her considering all these rumours, we have tried to conceptualize how a foldable smartphone from the Sony would look like while, at the same time integrating the S Pen functionality to the device which is fully based on our imagination. Here we have gone for a foldable smartphone which accommodates a 8inch foldable display within a form factor of 5.7inch display smartphone design. The unique dual edge design enable the two touch disabled edge displays on the Sony Xperia Note Flex to come together when folded and act like a single secondary display while it could be unfolded to tablet size display.We have tried our level best to make this concept look bold and beautiful with metal and glass build while the whole concept is based on button lees design with popup camera which doubles as the power button whereas the volume button are replaced by pressure sensitive edge display buttons. Talking about the specifications the Sony Xperia Note Flex concept,it is having a 5.7inch QHD OLED display with 18:9 aspect ratio while it also accommodate a tablet sized 8inch 4K OLED display. Xperia Note Flex also features two separate 2inch display(length) on the either sides of the device to function as secondary display when the device is upside down. It is powered by Qualcomm Snapdragon 8150chipset with 8GB of RAM and 128/256/512GB internal memory. The camera department will feature 40+22+12MP Triple camera module while the front camera would be 13MP with pop up mechanism which could function for both smartphone and tablet mode .The Sony Xperia Note Flex will be build out of metal glass with IP68 certification for water and dust resistant.